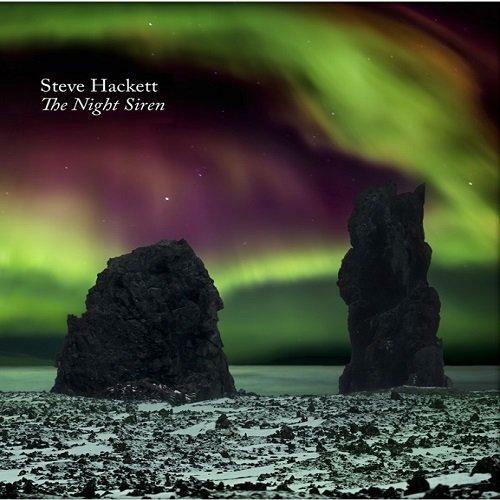 Guitar virtuoso and rock legend, Steve Hackett (formerly of Genesis), releases his latest album The Night Siren on 24th March 2017 through InsideOut Music (Sony). As implied in the title, The Night Siren is a wake-up call. the warning of a siren sounding in this era of strife and division. The Night Siren showcases Steve's incredible guitar as strongly as ever, along with musicians from several different countries who Steve invited to join him in celebrating multicultural diversity and unity. This includes singers from Israel and Palestine, who both actively campaign to bring Jewish and Arabic people together. There are also instrumentals from the USA and Iraq and a multiplicity of sounds, including the exotic strains of Indian sitar and Middle Eastern tar and oud, the ethnic beauty of the Peruvian charango and the haunting Celtic Uilleann pipes. Steve Hackett is renowned as an immensely talented and innovative rock musician. He was lead guitarist with Genesis as part of their classic line up with Gabriel, Collins, Banks and Rutherford, who produced several of the band's most acclaimed albums including Selling England by the Pound (a favourite of John Lennon) and The Lamb Lies Down on Broadway. With Steve's extraordinary versatility in both his electric guitar playing and his composing, he involves influences from many genres, including Jazz, World Music and Blues. He is equally adept in his classical albums that include renditions of pieces by composers from Bach to Satie, his own acoustic guitar compositions that have gained the admiration of many, including Yehudi Menuhin, and ambitious guitar/orchestra albums such as A Midsummer Night's Dream, recorded with the Royal Philharmonic. Kobi Farhi - vocals on "West to East"
Mira 'Awa - vocals on "West to East"
Nick D'Virgilio - drums on "Martian Sea"
Malik Mansurov - tar on "Behind the Smoke"
Benedict Fenner - keyboards, programming on "The Gift"
Leslie-Miriam Bennett - keyboards on "The Gift"
Nad Sylvan - vocals on "Inca Terra"
Jo Hackett - vocals on "West to East"
Gary O'Toole - drums on "Fifty Miles from the North Pole", "El Nino", and "West to East"
Troy Donockley - uilleann pipes on "In Another Life"
John Hackett - flute on "Martian Sea" and "West to East"
Ferenc Kovacs - trumpet on "Fifty Miles from the North Pole"
Sara Kovacs - didgeridoo on "Fifty Miles from the North Pole"